The fact is that fork trucks are among the most dangerous pieces of equipment on the plant floor. 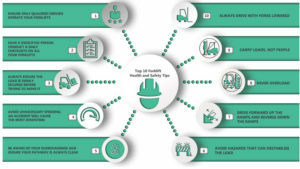 OSHA statistics indicate that there are roughly 85 forklift fatalities and 34,900 serious injuries each year, with 42 percent of the forklift fatalities from the operator’s being crushed by a tipping vehicle. 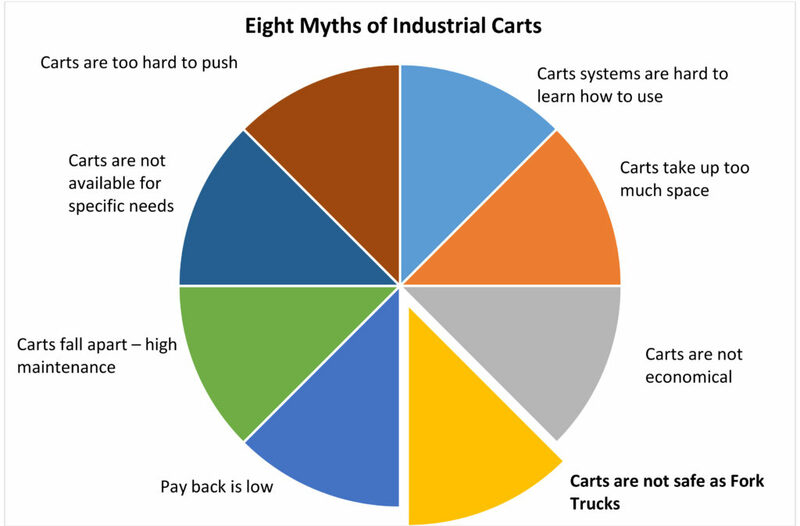 Despite safety training and tips (as seen below), the failure of consistent fork truck safety is driving a rapid growth in the use of industrial carts tugged by vision-guided or automatic guided driverless vehicles. Manufactured in the USA, industrial carts by Topper Industrial have more safety and ergonomic patented solutions than any other provider of these safe products. With more than two decades of manufacturing excellence, products featuring all-welded heavy gauge steel construction with a tough powder coated finish, have earned a reputation for strength, durability and longevity, even in the most demanding applications. Far safer than fork trucks, there is often a need from industrial carts to undergo an Engineer to Order unique build while supporting custom equipment for lean initiatives, special applications and integrated systems. The heavy-duty industrial safety products are driving the North American Fork Truck Free initiatives because they deliver both quality and value. Unlike fork trucks, industrial carts are extremely reliable, have minimal maintenance, and often have a planned route for use. The factory of the future is increasingly set to blur the lines between humans and machines, with teams containing robots and people working side by side. This requires a different approach to safety that addresses the need to respond to a range of situations with high flexibility. When connected to driverless guided vehicles, industrial carts are tailored, customized solutions, safety systems, underpinned by the experience acquired from equipping numerous machines and plants. New technologies currently in development will enable even closer coordination with processes in the future. Innovative safety technology concepts for carrying out production in a way that is both compliant with legislation and fit for the future dispels the myth regarding the safety of industrial carts versus fork trucks. Next post Innovations in Cart Delivery: Quad Steer Cart with Rotate Top. Fabricating & Metalworking magazine reported that the lean goal is practical.